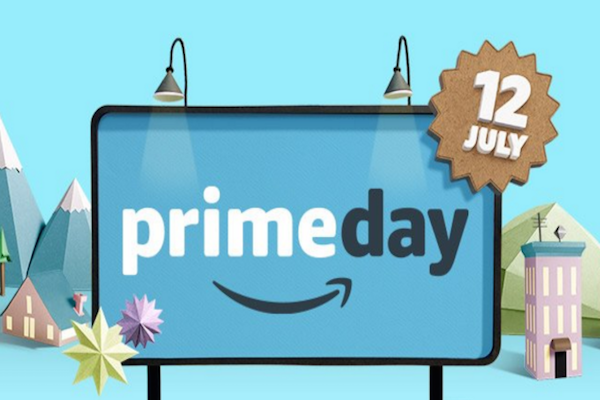 So if you do not know that today is Amazon Prime Day then I'm here to tell you it is. What does this mean for you? It means that if you have a prime account you will have access to some exceptional, amazing deals. I love Amazon, I mean who doesn't? You can literally purchase ANYTHING on Amazon. Since they are having a special sales day for Prime members, I suggest prime members purchase higher priced items as this is where you will see savings and get the most out of your dollars. Here are 5 categories that are great to shop during this 24hrs (July 12th) Prime membership special. 1. Electronics: I'm talking items such as computers, printers, cellphones, TVs, video games, and other items such as microwaves etc. the savings are huge on these and definitely worth the buy. 2. Back To School: This sale is especially a good one for parents as they are thinking about or preparing their children for back to school. Go ahead and scoop up all the items your kids crave or need for back to school. College students, this is also your time to stock up and get ready for back to school. 3. Home & Garden: Summer is still in full effect and if you wanted any extra items to complete your patio, deck, porch, garden etc. now is the time to get it and this is the place to buy. Prices will be exceptionally low especially that we are heading into a new reason (Fall) rather than preparing for summer. 4. Gifts: If you are like me who enjoy saving a few bucks here and there especially on gifts for others, then you might want to get a pen and paper right now. Think of everyone you have to buy a gift for, upcoming birthdays, anniversaries, weddings, etc. Shop around and buy those items now. All you have to do is just store them until you need them. You can even shop for Christmas presents right now. It sounds ridiculous right? Well saving money isn't ridiculous at all. 5. Jewelry: Such a tricky category because other than around Valentine's Day, you do not quite know when to shop for jewelry. Well, here's the time to do so and maximizing your Amazon Prime account. I hope these tips helped as you take advantage of this major sale. I have my eye on a TV and a wireless printer for my mini office.